At the end of the first three quarters of 2015 the Russian airlines’ traffic showed slight growth against the same period last year. From January to September they carried 73.5 million passengers, +0.7% YOY, according to Federal Air Transport Agency’s report. Even slight growth is welcome news, as first half-year saw the traffic decline. The trend of growing domestic traffic against declining international demand continues. The results for the three quarters are +16.1% (41.2 million passengers) on domestic routes versus –13.8% on routes outside the country. This last figure is elusive, as it sums up CIS traffic, which actually grew 6.7% (to 5.7 million passengers) and still deeper declining international traffic –17.2% (26.6 million passengers). In the TOP-5 list of Russian carriers by traffic Ural Airlines with 5.1% growth (4.3 million passengers) squeezed out previous number 5, Rossiya Airlines, which reduced its performance by 3% (3.9 million passengers). Number 2, Transaero, prior to leaving the market this month, served 10.8 million passengers (+3.2%). Its feasible partner S7 Airlines showed 2.1% growth (6.3 million passengers). A 38% plunge in UTair’s traffic (over 4.3 million passengers) resulted from radical reduction of capacity. The market leader, Aeroflot, shows stable growth. 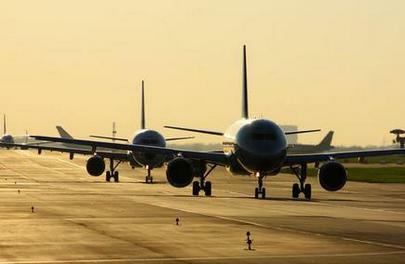 Its traffic grew 10.3% to 19.7 million passengers. However, its subsidiaries are not as successful: OrenAir and Donavia’s results deteriorated –8% and –11,6% accordingly. The Far-Eastern subsidiary, Aurora, carried 9.3% more than a year before. OrenAir’s performance is explained by shrinking tourist charter market. Same tendency effected performance of NordWind (–39%), Pegas Fly (–12.6%) and iFly (–44.4%). However, several airlines, focused on leisure travel, managed to achieve positive growth: Royal Flight (+46%) and Azur Air, which grew 11.9 times. Other traffic growth champions include: Globus Airlines (part of S7 Group, +18%), Angara (+31.8%), Alrosa (+32.7%), Turukhan (26 times), KrasAvia (79.6%) and Severstal (31.3%). The TOP-5 airlines’ share grew o 62.3% against 61.7% YOY.